I have Snow White skin. Fairest of the fair. In fact once when working at a clothing store, a little girl thought I really WAS Snow White and asked me to play along. Which I did haha. I have the high voice to match. Well, back then I wasn't using Mineral Hygienics and under that pretty fair skin was lots of acne and very sensitive skin. It is hard enough to find a makeup light enough, let alone one that won't break me out and cause irritation. I tried multiple makeup brands. Most had ingredients that either broke me out or irritated my skin. Then came Mineral Hygienics. HALLELUJAH! Thanks to reviews online, I tried it. 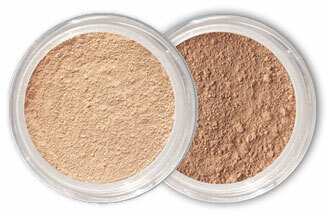 Perfect coverage, great color selections, and affordable price. I have been using it for about 2 years now. Started with the trial sizes then purchased a large one. Best purchases ever! Thanks Mineral Hygienics! Please never change your formula! It also lasts great in Louisiana's weather; even in our hot summers. I’ve been using Mineral Hygienics for at least 5 yrs now. I love it. I’m 48 years old and I didn’t want to use makeup that made me look old. Mineral Hygienics covers great and yet it feels so light and looks soft and natural. I get so many comments on my makeup. I originally found Mineral Hygienics when I was having issues with oily skin and it worked great. Since switching to Mineral Hygienics my skin is now fairly normal and it still works great. Ohhh yeah, and let me add that its waterproof….Just another wonderful factor ! ve been using Mineral Hygienics for at least 5 yrs now . I love it .. I m now 48 years old and I don't want to add any aged look to my face , I 've found It covers great and yet it feels so light and looks soft and natural . I get so many comments on my makeup .. I decided to try it due to my than oily skin and it worked great . Now my skin is fairly normal And it still works great . And let me add the waterproof is just another wonderful factor ! Although I was very sick during my chemotherapy, people frequently commented on my complexion. They would say that I looked radiant and asked how I did it. I would quickly tell them that it was Mineral Hygienics Makeup. Being a Breast Cancer patient, I was comforted to know that Mineral Hygienics Makeup has no toxins such as parabens that act as estrogen and stimulate the growth of certain kinds of Breast Cancer. Mineral Hygienics has great coverage yet looks natural. The blushes give your skin a natural glow that makes you look beautifully radiant even through chemotherapy. Mineral Hygienics makes me the best version of myself. When I started testing out mineral foundation about four years ago, I was very sceptical. Would it give me the desired coverage (being a red-faced pimple-head with big pores), and would it keep my skin safe? The first two brands I tried left me disappointed. One gave me an increase in impurities, the other dried my skin in completely. I was about ready to give up when I saw and advertisement for Mineral Hygienics. Checking out the website and the favourable prices, I decided to give it a shot. I've never looked back. Since wearing Mineral Hygienics I feel confident every morning that I will be able to leave the house the best version of myself. I don't even feel the make-up on my skin, but it does wonders for my tone and covers up any impurities (which have also lessened since I've been using it). Over the years I've used Mineral Hygienics, I've also successfully made both my mom and several of my friends passionate about the brand. I'm forever loyal!